Gateshead have signed winger Kevin Sainte-Luce on a deal up to the end of the season following his release by League Two side AFC Wimbledon. 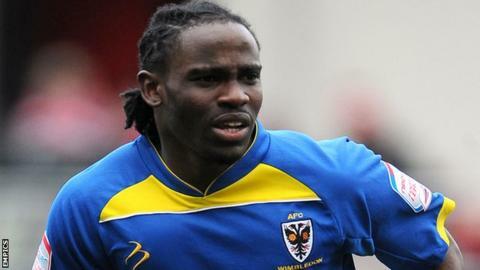 The Guadeloupe-born wide player, 21, scored four goals in 49 appearances for the Dons following his move from Cardiff City in January 2013. His contract was terminated by Wimbledon by mutual consent. Sainte-Luce began his career with Cardiff but failed to make the grade at senior level. During his spell at Cardiff, Sainte-Luce was found guilty of assault, leading to the termination of his correct.